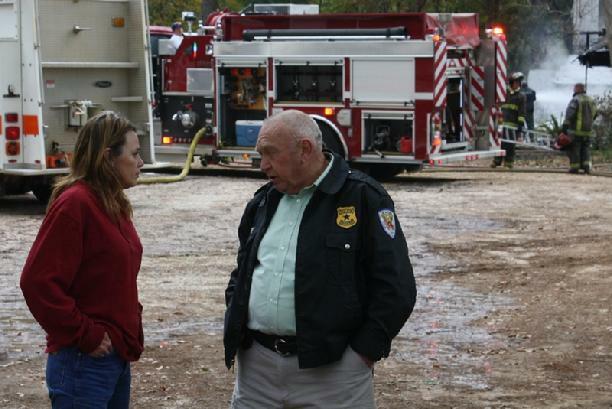 Polk County Fire Marshal, Jay Barbee (right) speaks with Karen Bowman who was renting the home. 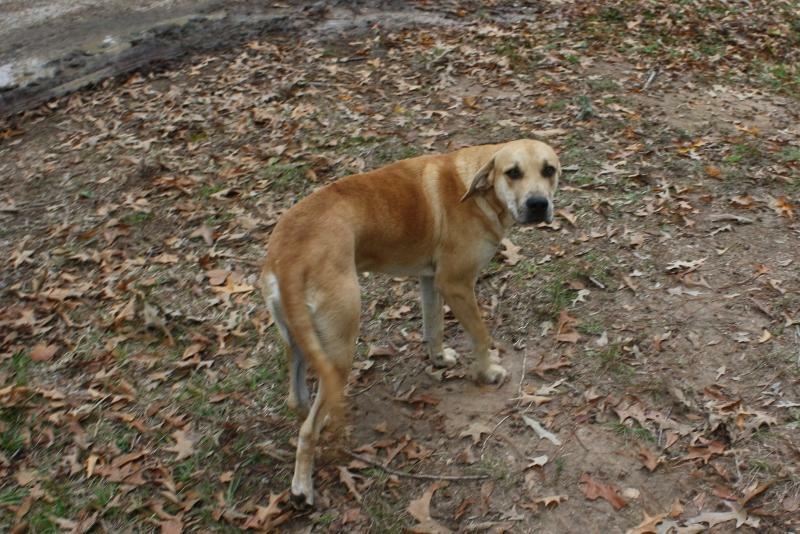 Bowman is seeking help from the local office of the Red Cross. 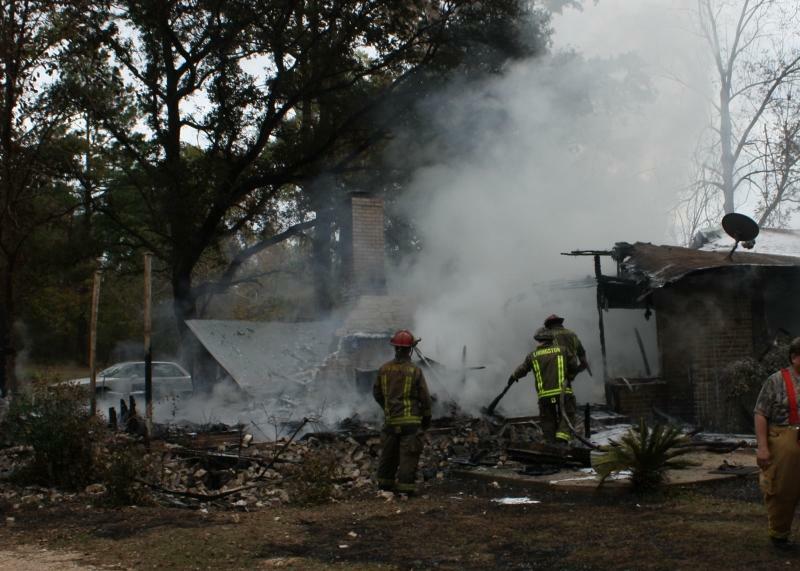 Fire Totals Home, Belongings, OLLIE, December 9, 2011 - At approximately 12 pm on December 9, 2011 a house fire was reported off FM-942 East. 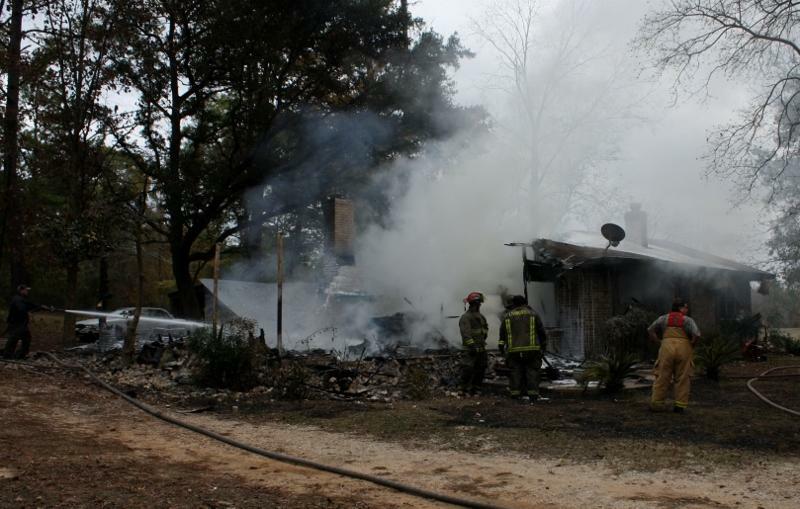 The Livingston and Alabama Coushatta Volunteer Fire Departments were dispatched along with Deputy Mike Nettles to 8212 FM-942 East to find the home fully involved. 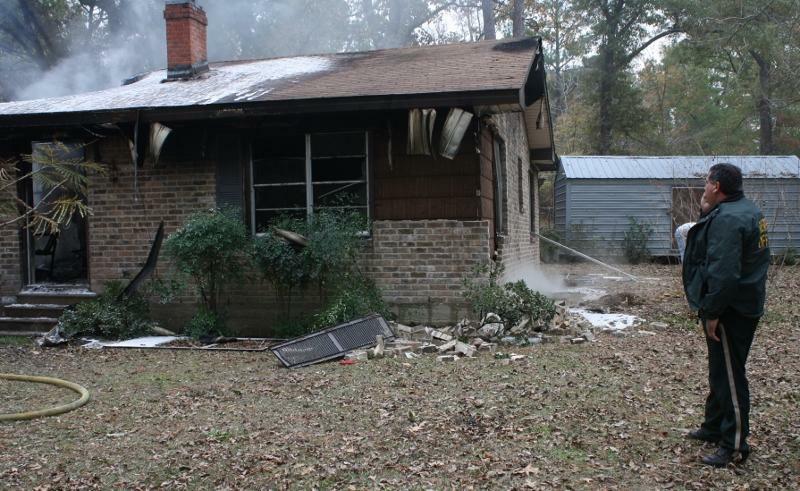 Firemen quickly got on the blaze but not before the home and its contents were destroyed by the fire. Fortunately, nobody was injured during the incident. The home was occupied by renters and owned by Patsy Pucket. The renters were Karen Bowman, her husband and her two children. Pucket did not have insurance on the home. Since nobody was home when the fire started, the origins of the fire is not yet known but is under investigation. 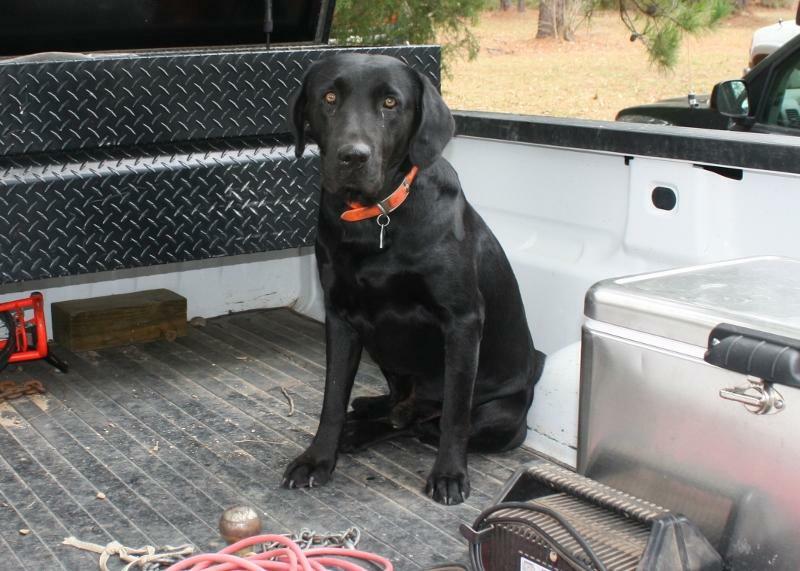 Deputy Mike Nettles conducted a preliminary investigation before turning it over to Polk County Fire Marshal, Jay Barbee. Only part of the exterior of the home is still standing. 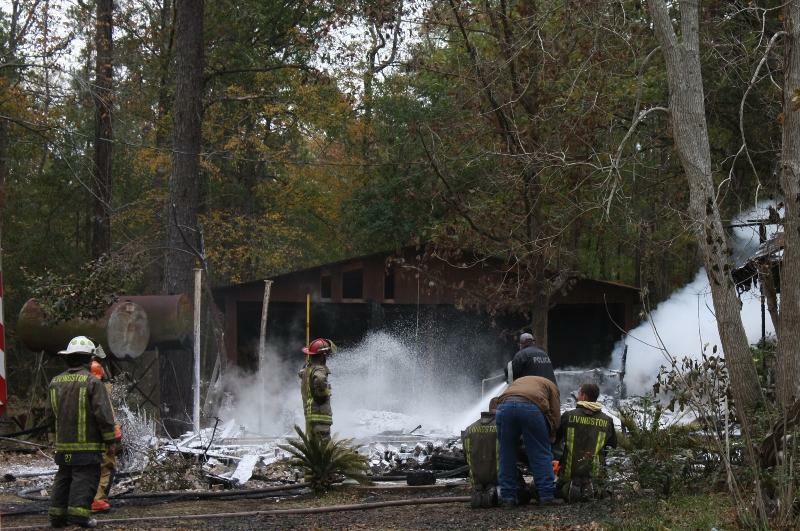 One side of the house was still standing, but was only an exterior shell as the fire gutted the interior of the home (Deputy Mike Nettles pictured at right). 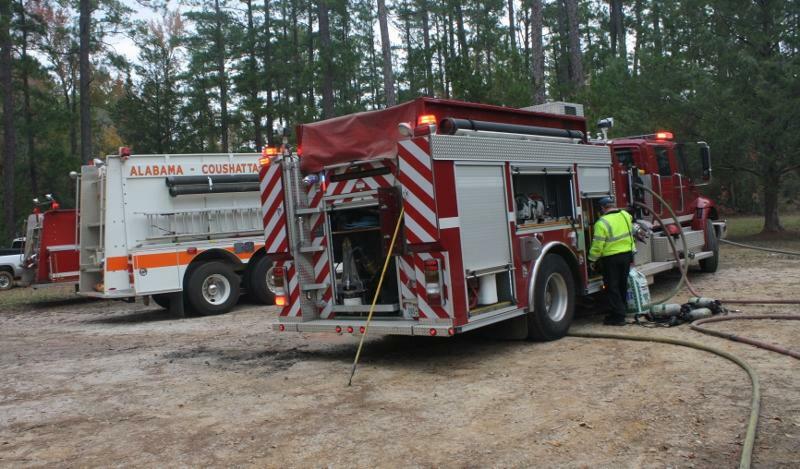 Fire engines from Livingston and the Alabama Coushatta Reservation arrived to douse the fire.